Drought conditions and impacts to livestock and rangelands are worsening in Oregon; 93% and 92% of soils were reported to have poor and very poor moisture conditions in the September 16, 2018 USDA topsoil moisture report. Low water supply conditions and low stream flows in Washington have resulted in voluntary or mandatory outdoor watering restrictions and impacts to junior water users. Wildland fires continue to burn across the region as firefighters continue to work towards containment goals. 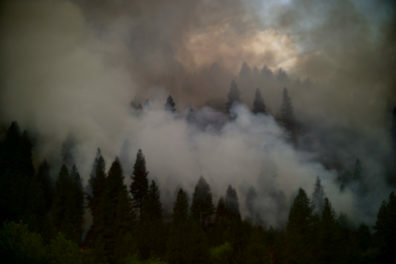 Large wildfires are still being reported in Oregon (4), Washington (13), and Idaho (16). Check out the details behind these conclusions in the complete Drought Status Update.